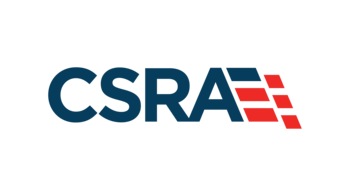 The students of seapower who follows the Naval Historical Foundation’s Naval History Book Reviews have probably read several books about the First World War at sea. There are, after all, hundreds of titles, ranging from the memoirs of the participants published in the 1920’s about the “war to end all wars,” to the World War I centennial authors of today. Arthur Marder and Robert Massie have written about every aspect of the Great War at sea in comprehensive detail, ranging from the war’s origins, shipbuilding, technology, design, to the grand strategy and details of each battle. However, each author has a clear emphasis on the Royal Navy. Marder’s 2,500-page, five-volume study, From Dreadnought to Scapa Flow, has recently begun the process of republishing, joining Robert Massie’s Dreadnought (914 pages) and Castles of Steel (880 pages) as the last word (or more accurately, hundreds of thousands of words). What can a recent author add to Marder and Massie? How many ways can Jutland be analyzed? So, why read From Imperial Splendour to Internment by Nicholas Wolz? I can think of two very good reasons. 1) Wolz writes a more balanced book from “point of view,” drawing equally from British and German diaries, correspondence, and memoirs. 2) Our time is precious, and at 200 pages, Wolz eases the commitment required of a reader considering Marder or Massie. The rare fleet actions are adequately described by Wolz. Less attention is given to the U-boat war and none to the surface raiders – rightly so given the author’s aim. The crews of the submarines and raiders were frequently engaged with the enemy. Meanwhile, the British Grand Fleet and the German High Seas Fleet, anchored at the extremes of the North Sea, stared at each other across a virtual DMZ. One officer corps led by modest engagement with their crews in remote Scapa Flow; the other returned to home and hearth in Wilhelmshaven each evening, leaving idle crews onboard year by year. 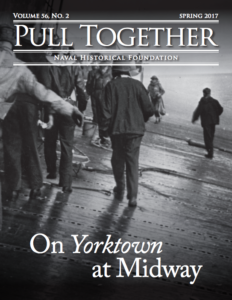 By war’s end one navy faces a wide-spread mutiny. Wolz focuses on these festering crews and their neglectful officers, by using their own words. 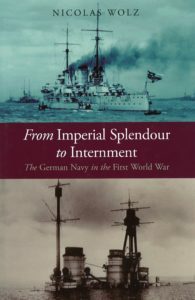 I found the chapter on the internment and subsequent scuttling of the German fleet particularly intriguing. Far more distressing, I assume, would be running through the bilges cranking opening valves to the sea. Though after four years of boredom, mistreatment, terminating in a humiliating treaty, scuttling those steel prisons must have provided a perverse pleasure to some. Many of these crewmembers, no doubt, joined the fringe elements of socialism, communism and eventually fascism during the economic collapse that was the Weimar Republic. Three excellent maps 1) The chase of the Goeben 1914 2) The East Asia Squadron August to December 1914 3) Battle of Jutland 31 May – I June 1916. Once you know the location of Scapa Flow and Wilhelmshaven, the last two years of this war have little call for maps. The bitterness and futility expressed in diaries and letters home serves to set the stage for the navy of the Third Reich planned, built, and deployed by World War I veterans such as Doenitz and Raeder. I recommend From Imperial Splendour to Internment by Nicolas Wolz for its insights into both German and British morale, its accessible style, and its moderate length. Winn Price retired from the Naval Reserve. He is a student of naval history in the late 19th century and a writer who has completed the manuscript to a novel on the Samoan cyclone of 1889.